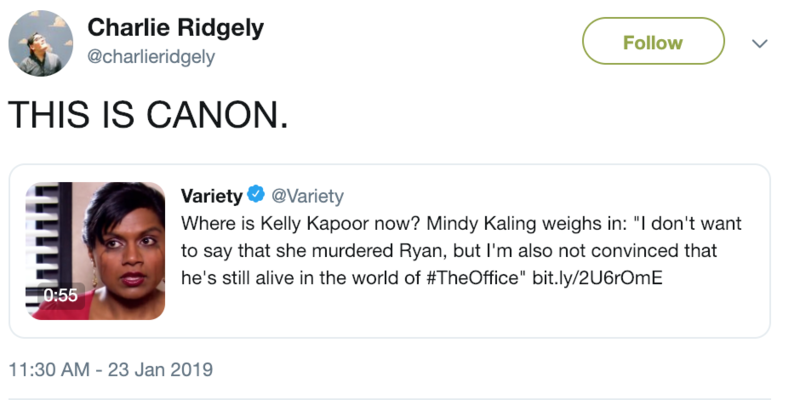 Today was the day we learned that Mindy Kaling’s The Office character—the one and only legend Kelly Kapoor—is more of a psycho than we could ever have guessed. 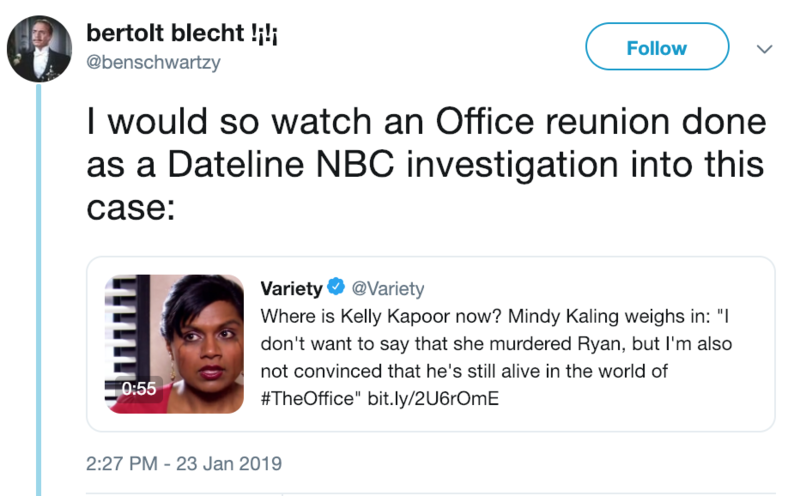 Variety published an interview with Kaling Thursday in which they asked her what she thinks Kelly Kapoor would be doing in 2019. 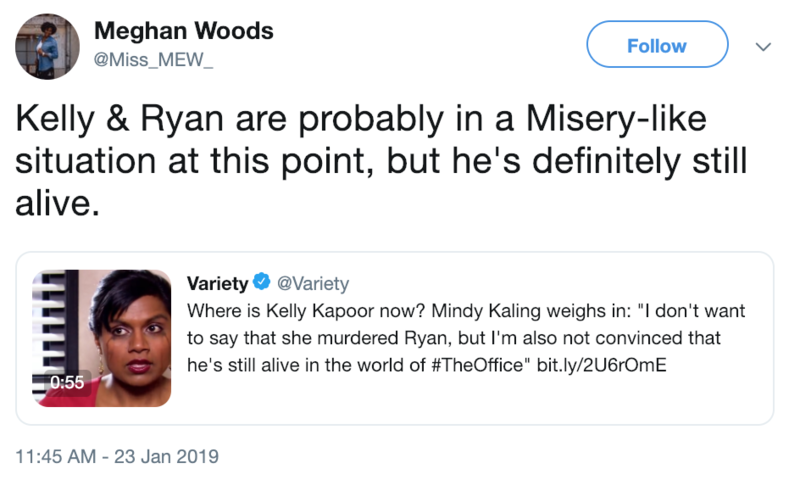 According to the actress, Kelly would probably be in prison for—YUP, YOU GUESSED IT—murdering her boyfriend, Ryan Howard. 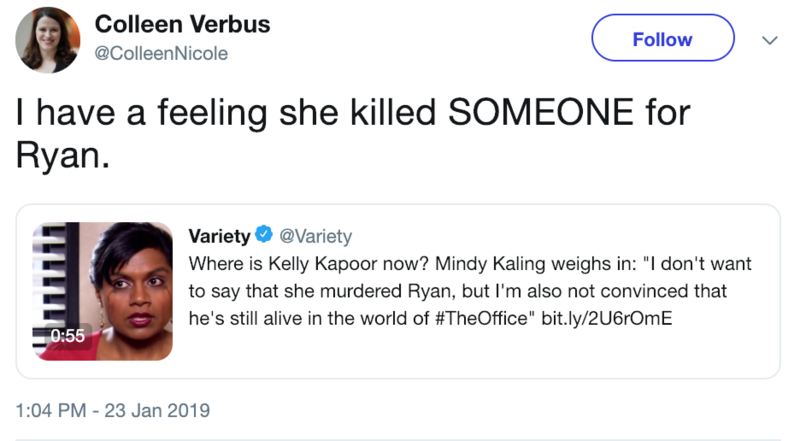 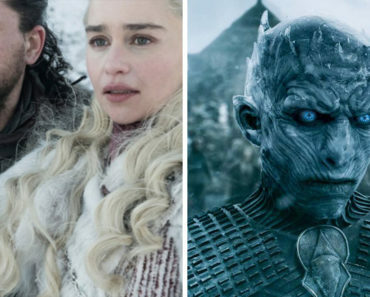 “I don’t want to say that she murdered Ryan, but like, I am also I am not convinced that he’s still alive in the world of The Office” added Kaling. 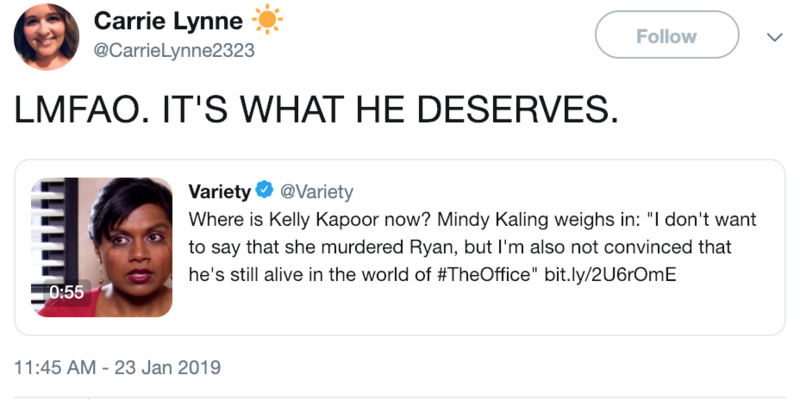 First of all, how dare you? 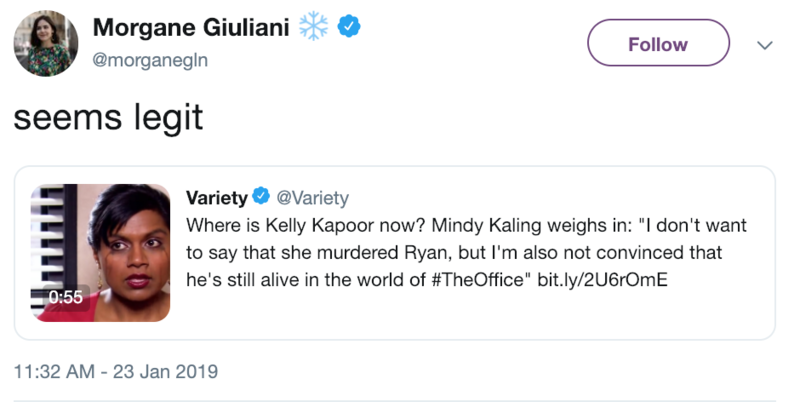 Second of all, Twitter was absolutely not surprised.